Yes, it’s true. This can be done by investing in closed-end funds. 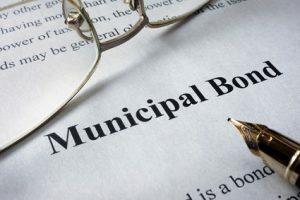 These are stocks — which have raised money through a public offering — that invest in municipal bonds, which distribute interest that is tax free on a federal level. What’s more, if a fund invests in a certain state, then the interest will be tax-free on a state level. Despite these advantages, closed-end funds do not get much attention. Keep in mind that many tax-free dividend stocks sell at a discount to their NAVs (Net Asset Values), which magnifies the returns. First on our list of tax-free dividend stocks is BlackRock Muni Intermediate Duration Fund (NYSE:MUI). MUI invests a minimum of 80% of it assets in municipal bonds. There is also a focus on higher quality issues. Note that a minimum of 75% of the assets are invested in investment grade bonds. As for the terms of these securities, they range from three to four years. The co-managers of the fund include Michael Perilli and Michael Kalinoski, who came on board in May 2017. Although, Perilli has been with BlackRock (NYSE:BLK) since 2011 and Kalinoski joined in 2006, through the merger with Merrill Lynch Investment Managers. No doubt, BlackRock has a strong background in fixed investment investing. Consider that the firm has $6.28 trillion under management. As for MUI stock, it has a current yield of 4.29% and a discount to the NAV of 14.78%. The expense ratio is 2.17%. The majority of the assets of Invesco Value Municipal Income Trust (NYSE:IIM) are invested in investment grade muni bonds. However, the managers are allowed to allocate up to 20% of the assets in securities rated below investment grade or even ungraded. The fund has a strong team, which includes six members. They also pursue a bottom-up, research driven approach to investments. The fund also engages in leverage to boost the returns. Regrading the yield, it is 5.36% for the IIM fund and the stock trades at a 13.4% discount to the NAV. The average term for the portfolio is also roughly 11 years. The Nuveen Municipal Credit Income (NYSE:NZF) fund has a mandate to take higher risks. Consider that up to 55% of the assets may be invested in securities rated BBB and below or unrated. But that doesn’t make it a bad tax-free dividend stock. The fund has a top-notch portfolio manager, Paul L. Brennan. He started his career in the early 1990s as a muni-bond credit analyst and has been disciplined with his investing. Nuveen is certainly one of the leading asset managers for muni bonds. In fact, the company was founded in 1898, with a focus on this category. As for NZF stock, it has a yield of 5.75% and a discount to the NAV of 4.18%. A large percentage of the assets are also in Illinois, California, Texas and New York. For the past ten years, the MFS High Income Municipal Trust (NYSE:CXE) fund has posted strong returns. The average annual return was 11.06%. So this is not just a tax-free dividend stock, it’s a successful one. The CXE fund has been smart to focus on areas like industrial revenue, education, housing and healthcare sectors. There has also been a willingness to invest in lower-rated securities. The CXE fund has two managers, Gary Lasman and Geoffrey L. Schechter. Both have held this positions since 2007. So yes, they have had experience dealing with tough market conditions. The current yield on the CXE fund is 5.77% and the discount to the NAV is 8.8%. Founded in 1971, Western Asset is a leading fixed-income asset manager. Moreover, by being a part of Legg Mason, the firm has access to a strong team of analysts and proprietary research. The Western Asset Municipal Partners Fund (NYSE:MNP) is focused on identifying value plays. The fund has three managers (David Fare, Robert Amodeo and S. Kenneth Leech). Keep in mind that Leech has been with the firm since 1990. The fund is run fairly efficiently, with an expense ratio of 1.87%. The dividend yield is also 5.18% and the discount to NAV is at 14.86%.